R. K. Mishra is one of the most experienced professor of laparoscopic and robotic surgery who alone as single faculty has trained more than 3500 surgeon and gynaecologist from more than 108 countries. He is Professor of Minimal Access Surgery in TGO University and his endeavor of starting unique university program was started in Ninewells Hospital and Medical School, U. K. with Professor Sir Alfred Cuschieri. He did his Master degree in Minimal Access Surgery (M.MAS) from United Kingdom. During his work in United Kingdom Dr. Mishra has discovered the optimum shadow casting illumination technique to improve the task performance of laparoscopic surgery and his research is now used by eleven laparoscopic instrument companies to make ideal shadow casting telescope. This original research of shadow in laparoscopy was published in Archive of Surgery. Prof. Mishra is among few fortunate who has been conferred degree of Master in Minimal Access Surgery by Sir James Whyte Black Nobel Prize Winner in Medicine and the most prestigious Chancellor in the history of University of Dundee, United Kingdom. After Mastering Laparoscopic Surgery, Dr. Mishra has further refined his robotic surgery training at Harvard Medical School, Boston, USA. He has completed his Ph.D. in Minimal Access Surgery and his research and thesis for doctorate was on Ideal Port Positioning in Robotic Surgery. After returning to India from U.K. in 2001 he worked at Indraprastha Apollo Hospital. New Delhi. Dr. Mishra could feel the pain and concern about high cost laparoscopic surgery to Indian people and he started performing free laparoscopic surgery. Due to his charity work he received Super Idol Award. He also felt commercialization of half cooked laparoscopic training of just 2 to 4 days, credentialing at an exorbitant cost. These training program were in the hand of industry who make laparoscopic instruments. Keeping in mind the need of time and being the first qualified Minimal Access Surgeon from United Kingdom, he started giving training of Minimal Access Surgery. Dr. Mishra's way of providing real laparoscopic training had no parallel in the whole world and that convinced all the international organization that real laparoscopic training to young and practicing surgeons is possible if like-minded people join hands and work towards achieving this goal. Due to his dedication World Laparoscopy Hospital is now major pole of excellence in minimal access surgery. There is 200 hour live video lectures of Prof. Mishra on 86 topics from his eleven hundred hour lecture collection on 286 topics of Minimal Access Surgery. Textbook of Practical Laparoscopic Surgery Prof. Mishra is author of many of the bestseller books in Laparoscopy and the most popular is Text Book of Practical Laparoscopic Surgery. This book is available globally with the ISSN (International Standard Book Number 81-8448-241-8. This book is published by World's leading Medical Publisher McGraw-Hill Education - Europe. This is bestseller book of laparoscopic surgery in more than 52 countries. This handsome book in laparoscopic surgery, gives a full description of all tricks and tips in performing a variety laparoscopic procedures. This book contain all colored plastic finish 602 Pages, 1500 color Illustrations. Four DVD's with 20 Power point's and 206 laparoscopic Videos are with this book. This book provides an invaluable study aid for all general surgeons, pediatric surgeon and gynecologists who wants to learn art and science of laparoscopic surgery. Concisely written overviews of each topic covered on the minimal access surgery combined with the illustration and videos with a new and innovative approach is surprising. Textbook of Practical Laparoscopic Surgery is an excellent source of practical laparoscopy for all practitioners, especially those who are involved in any surgical field related to Minimal Access Surgery. Spanish Textbook of Laparoscopic Surgery Textbook of Laparoscopic Surgery is translated in many languages and now available in 1200 book stores all over World. Prof. Mishra who mentors surgeons and Gynecologists from across the globe has received Spanish Golden Eagle award from The Republican Society of Spain for his Textbook of Laparoscopic Surgery now published in Spanish Language. The Foreword of this book is written by world leader of laparoscopic surgery Prof. Steven D. Wexner (USA), past president of SAGES and by Dr. Ray L. Green President of World Association of Laparoscopic Surgeons, USA. The Publisher of book of first edition was J.P Brothers Pvt. ltd, and publisher of second edition of this book is McGraw-Hill. Even advanced laparoscopic surgeons lack basic principles of minimal access surgery. This book is one of the bestseller book available in laparoscopic surgery through America's largest online book seller AMAZON and WHEELERS. Since graduating from United Kingdom, Dr. Mishra has contributed significantly to the field of Minimal access surgery. Although he has contributed to many areas of research, his most notable and prolific contribution has been to the understanding, treatment, and ergonomic control of laparoscopic hernia surgery. Among the many awards presented to him, the following may be mentioned here: He was recipient of Lord Ashdown Award and Award of British Medical Association during his stay in United Kingdom. Among the medals awarded him at various times for teaching were Grand's Gold Medal at the Dubai in 2005 and Africa 2006. Book of Dr R.K. Mishra The another popular book written by Prof. Mishra is Mastering the technique of Laparoscopic suturing and knotting. Mishra Knot was published in World Journal of Laparoscopic Surgery in 2007 and since then hundreds of surgeon all over world is using Mishra's Knot. His book Mastering Laparoscopic Suturing and knotting is available globally with the ISSN (International Standard Book Number 81-8448-562-X. This book is also published by India's leading Medical Publisher Jaypee Brothers Medical Publishers (P) Ltd. This is bestseller book of laparoscopic suturing and knotting techniques and is available in more than 16 countries, worldwide. Laparoscopic Intracorporeal and Extra corporeal knot tying in minimal access surgery is an advanced skill. Mastering this skill is a difficult process with a long learning curve under the supervision of expert laparoscopic surgeon. Intra corporeal as well as extracorporeal suturing and knotting is essential to advanced laparoscopy and is a rate-limiting step in many procedures. This book is supplemented by very high quality DVD which shows all the important clinical aspect of laparoscopic knotting and suturing in video. After watching this video and carefully going through the text of principle of laparoscopic suturing and knotting, every surgeon will realized how much easy this skill is if tied with keeping in mind all the principles. World Laparoscopy Hospital is one of the pioneer institution of the world where Two port cholecystectomy and Two port ventral hernia repair and Two port LAVH is being frequently performed. He has presented his scientific findings in society papers and exhibits at professional national and international meetings. Prof. Mishra is one of the very first surgeons who has started NOTES (Natural orifices trans luminal endoscopic surgery) in India. He is the member of European Association of Transluminal Surgery. He was the invited faculty during India's largest conference on NOTES, PSG Surgeon 2008 which was organized by PSG hospital at Coimbatore. The reputation of World Laparoscopy Hospital places this unique institute among the top laparoscopic training facilities in the world to start training in Single Incision Laparoscopic Surgery. Essential of Laparoscopy Another book written by Prof. Dr. R. K. Mishra is " Essentials of Laparoscopy " . This is one of the essential book for every surgeon and gynecologist. However, the price is reasonable given the hundreds of surgical drawings. Practicing gynecologist and surgeons will probably consider it to be a good review of familiar techniques. For medical students and house staff, the book will serve as an excellent reference for a quick read the night before laparoscopic surgery. Readers looking for a more in-depth discussion of surgical treatment of endometriosis, pelvic organ prolapse, and urinary incontinence, however, will find it necessary to invest in a supplementary book. Throughout his career Dr. Mishra has been the author of four laparoscopic postgraduate books, three of which have been in the last four years. He has also contributed to numerous chapters in undergraduate and postgraduate books and published over forty original articles in major peer review journals. First time in the world any Professor of Minimal Access Surgery has delivered 200 hours lecture on all the important topics of Minimal Access Surgery. Many hundreds of surgeon and gynecologists have now already benefited from detailed study and original teaching material on DVD video and Prof. Mishra's personal and easy-to-follow style makes this probably the most effective laparoscopic teaching method available today. WJLS Prof. Mishra is a prolific author who has published his research findings in journal articles, abstracts, textbooks, book chapters, and in editorials. In addition to publishing his own research, he is much in demand as an editor for scientific publications. Prof. Mishra is editor in chief of World Journal of Laparoscopic Surgery, an international peer reviewed publication of minimal access surgery. 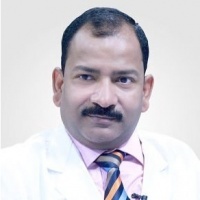 His dozens of article published in various laparoscopic journals all over world including of the recent article published in Annals of Surgery, Surgical Endoscopy, Current Medical Journal of India, Journal of Minimal Access Surgery of India and World Journal of Laparoscopic Surgery. His recent article about Complications of Laparoscopic Surgery has brought to light many errors commonly overlooked during surgery. The World Journal of Laparoscopic Surgery now appears in a combined print / online format and one of the most popular laparoscopic journal of world. The World Journal of Laparoscopic Surgery is available online at www.worldjls.org It is dedicated to publishing worthy scientific and clinical articles and informing issues significant to the surgical profession. The popularity of World Journal of Laparoscopic Surgery can be imagined that at present there are 3000 subscriber of this journal from ever corner of the world. DVD of Prof.Mishra Another great production of Dr. Mishra is Jaypee's Video Atlas of Laparoscopic Surgery in three volumes. Set I contains Jaypee’s Video Atlas of Laparoscopic Surgery (Essential Surgery for Surgeons, Gynecologists, Pediatric Surgeons and Urologists) Many hundreds of surgeon and gynecologists have now already benefited from almost two hundred hours of detailed study and original teaching material on DVD / video. Prof. Mishra's personal and easy-to-follow step by step style makes this probably the most effective laparoscopic teaching method available as high quality video DVD. DVD Album I contain all the Essential skills of Minimal Access Surgery. Laparoscopic Live Lecture with detail step wise presentation by Power point's, Video Demonstration of real laparoscopic surgery and Case Presentation of complications, indications and contraindications of all minimal access surgical procedures on 36 High quality DVD's Volumes. This atlas has been designed for the purpose of providing a detailed overview of the major procedures performed by the minimal access surgeons including surgeon, gynecologist, pediatric surgeon and urologist, using full color video DVD of live surgical footage with spoken commentary. Creating the basis of this video atlas exclusively from actual surgical procedures, offers the reader a vantage point similar to that seen by the operating surgeon. Dr. Mishra is Jaypee's Video Atlas of Laparoscopic Surgery in three volumes. Set II contains Jaypee’s Video Atlas of Laparoscopic Surgery for general surgeon, Pediatric Surgeon and Urologist. The content of this video atlas comprises of all the analytical and technical information that would teach a Fellowship and Diploma Candidate of Laparoscopic Surgery at World Laparoscopy Hospital, over a period during surgical residency program. It is not presented in a referenced didactic form. Rather the style is a more personal explanation of the thought process and surgical principle that Dr. Mishra uses in his day to day practice. After viewing the videos, one will quickly note the commitment to make this album highly scientific. The clean atlas format and videos are in Power Point form with its numerous illustrations and figures with citations in systematic step by- step manner. The high quality video was deliberate choice of a concession to the busy surgeons and gynecologists and it should be hopefully acceptable to the scholar of minimal access surgery. The DVD with its introductory “booklet” will allow readers and viewers to go directly to that part of the operative technique that interests them. First time in the world any Professor of Minimal Access Surgery has delivered 200 hours lecture on all the important topics of Minimal Access Surgery. In DVD set III of Jaypee's Video Atlas of Laparoscopic Surgery, Prof. Mishra has attempted to present all major laparoscopic procedures in Gynecological specialty including Hysteroscopy and urogynecology. Some of the less frequently performed laparoscopic procedures are not illustrated owing to the lack of material or space. In addition to the commonly performed major minimal access surgical procedures, Prof. Mishra has also illustrated many advanced procedures currently performed only at specialized centers throughout the world. He has tried to highlight important technical points for each step of the procedures in order to steer the reader away from potential complications. Prof Mishra has attempted to design this video album in a high-quality, comprehensive Atlas and hope that the reader appreciates its distinctiveness and merit. The Volume 1 is Essential for both surgeon and gynecologist. Volume 2 is dedicated for General Surgery and Volume 3 is dedicated for gynecologists who want to learn laparoscopic surgery in depth. In that DVD there is recorded golden live lectures, video demonstration, case presentation and demonstration of operative technique with high quality videos of world's one of the most talented Professor of Minimal Access Surgery and made it available for you on a set of 36 DVD's. The live recording of Laparoscopic Lecture/Demonstration and Video presentation is available in three volumes. Prof. Mishra's one of the hobby is software programming. He has in depth knowledge of Visual Basics, C++, HTML, Dot NET, SQL database systems, PHP and Java. Prof Mishra has developed a unique Laparoscopic Prescription writing software and it is so easy to learn and use that any qualified surgeon or gynecologist can quickly and easily will be able to generate legible patient consent, Postoperative note, discharge card and medication prescriptions by only few clicks. This software Create and generate Laparoscopic Prescriptions with as few as three keystrokes. Most of the O. T. Note, postoperative general advice, dietary advice and medications with life stile interaction will be pre-defined, with the ability to add on-the-fly. In this outstanding software developed by Prof. Mishra. Prescription Renewals can be quickly generated from previous prescriptions or from previously prescribed medications. Status of patient preoperative and postoperative tests are automatically available. The Drug Integration and Safety of Drugs are also automatically decided by this unique software. This software is one of the bestseller and present in almost all the famous medical library of the world. This software indicates which laparoscopic management recommendations are supported by clinical evidence, so you can implement them with total confidence. Dr. R.K. Mishra is recipient of hundreds of awards. He is receipient of Super Idol award for his achievement which will truly inspire others at life with an appreciative paradigm. The award of Super Idol adheres to a unique process of selection where the Network18 Editorial Board drawn from the editorial masterminds of CNN-IBN, IBN7, IBN-Lokmat deliberate to icons, keeping in mind their sterling contribution to humanity. Dr RK Mishra, has been named the recipient of the Global Laparoscopic Trainer award, an annual international award that recognizes one surgeon in the world whose career exemplifies the outstanding performance in Minimal Access Surgery. As an innovative surgeon and researcher this award and prize of Gold medal was given to Prof. Dr. R. K. Mishra He is also recipient of Global Medical Education Award by vice-chancellors of eight apex universities during National Open and Distance Education Summit 2007 in the presence of Honorable Shri P.R. Kyndiah, Union Minister for tribal affairs, Government of India. Dr R K Mishra has received Lord Ashdown Award on 12th March 2001, while persuing his Master Degree in Minimal Access Surgery from Ninewells Hospital and Medical School, University of Dundee. Prof. Mishra who mentors surgeons has received Spanish Golden Eagle award from The Republican Society of Spain for his Textbook of Laparoscopic Surgery. He is recipient of Lord Ashdown award for his valuable teaching contribution in the field of Minimal Access Surgery. For his dedicated service in the field of laparoscopic surgery LIONS CLUB ANNAMAMALAINAGAR has honored Prof. Mishra with "THE LIFE TIME ACHIEVEMENT AWARD and BEST DOCTOR AWARD." Prof. Mishra has started first time in the history of UAE, 10 days fully recognized Laparoscopic Training course with 70 hours CME recognized by Department of Health and medical services Government of Dubai and European Union of Medical Specialists. He is also faculty of Ethicon Institute Of Surgical Education, New Delhi. He is the visiting faculty and Honorary Professor of many leading institution of the world like Iranian Medical University, Tehran, Iran, King Abdulaziz Medical City, Jeddah, Kingdom of Saudi Arabia, Iranian Hospital, Dubai; Aljela Hospital, Tripoli, Libya, Gulu Independent Hospital, University of Gulu, Uganda. King and Edward Hospital, Kenya, Istanbul Goztepe Education and research hospital, Istanbul, Turkey . Prof. Mishra has been an invited faculty at over 200 local, National and International meetings and has been actively involved in teaching Minimal Access surgery techniques to other surgeons both in the India and abroad since 2001. Prof. Mishra has published more than hundred articles in different journals of World. He is the chief editor of World Journal of Laparoscopic Surgery. Few among many of his article is on Optimum shadow-casting illumination for endoscopic task performance which was published in Archives of Surgery (Arch Surg.2004; 139: 889-892). His article Laparoscopic versus Open Appendectomy for the Treatment of Acute Appendicitis has declared the laparoscopic surgery as gold standard for the treatment of acute appendicitis and was published in World Journal of Laparoscopic Surgery. His recent article about changing role of laparoscopy in the management of patient with cirrhosis was published in Journal of Minimal Access Surgery in which new indications of laparoscopy for the cirrhotic patients has been explored. In turkish Journal of gynecology - obstretics and Neonatology his one of the popular article was about which endoscopic way is true to predict tubal patency for infertile patient: transabdominal or transvaginal. Prof. Mishra has invented the PMAT camera holder system and this was again a publication which was helping the laparoscopic instrument companies to make ideal camera holder. His research in Robotic Technology as Robotic Camera Holder System is a unique technology in laparoscopic surgery published in Journal of Minimally Invasive Therapy. Professor Mishra was invited faculty of The 10th Mediterranean and Middle Eastern Endoscopic Surgery Congress & The 8th Annual Congress of Association of Iranian Endoscopic Surgeons to deliver lecture on Single Incision Laparoscopic Surgery. Prof. Mishra was the organizing secretary of three International conferences on recent advances in minimal access surgery organized by World Association of Laparoscopic Surgeons. All his international conference on Minimal Access Surgery was approved by ministry of health and family welfare, Government of India and financially supported by medical council of India. More than five hundred delegates from 65 countries were present in these international conferences. These International conferences were unique in whole world because it was covering seven subspecialty of Laparoscopic Surgery from all across the globe.